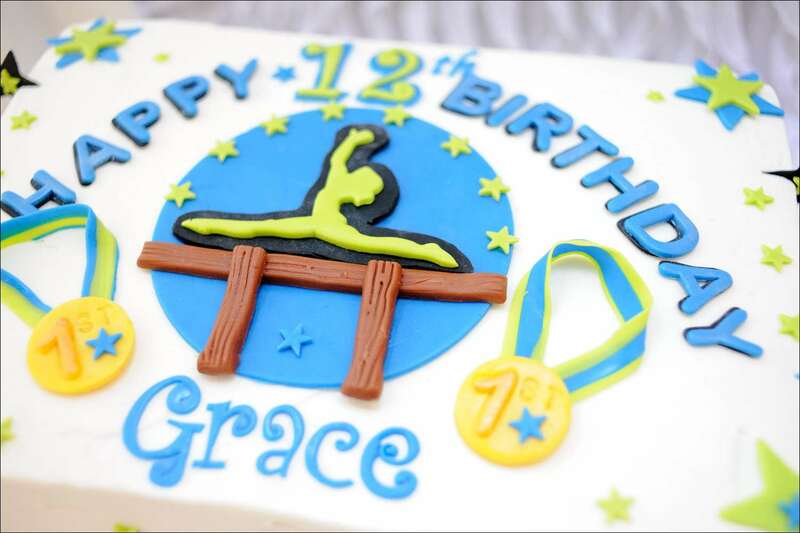 This gymnastics cake for Grace’s 12th birthday was SOOO fun to make…mainly because the birthday girl designed it herself! Great job, huh? When her mom asked me to make it, she sent me a sketch Grace had made with the gymnast in the middle and medals all around. 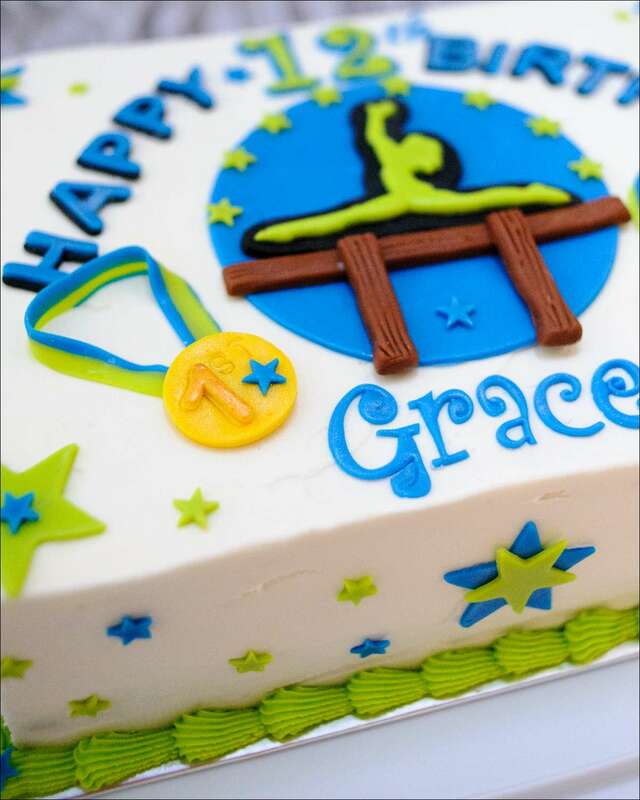 I changed it up a bit by putting the gymnast on a balance beam and adding the circle and stars. I ordered a Gymnast cookie cutter because I knew I’d never be able to cut it out by hand. The lime green image is cut with the cutter (I turned her from a handstand to the splitz); the black background image I cut with my trusty Exacto knife. 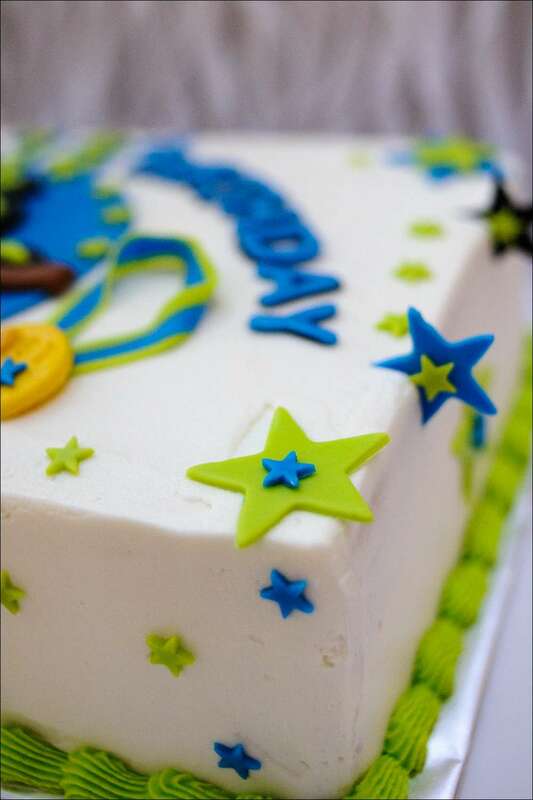 The cake is a 2-layer 9″x13″ chocolate/vanilla marble cake with buttercream icing and filling. The details are all cut from homemade marshmallow fondant. 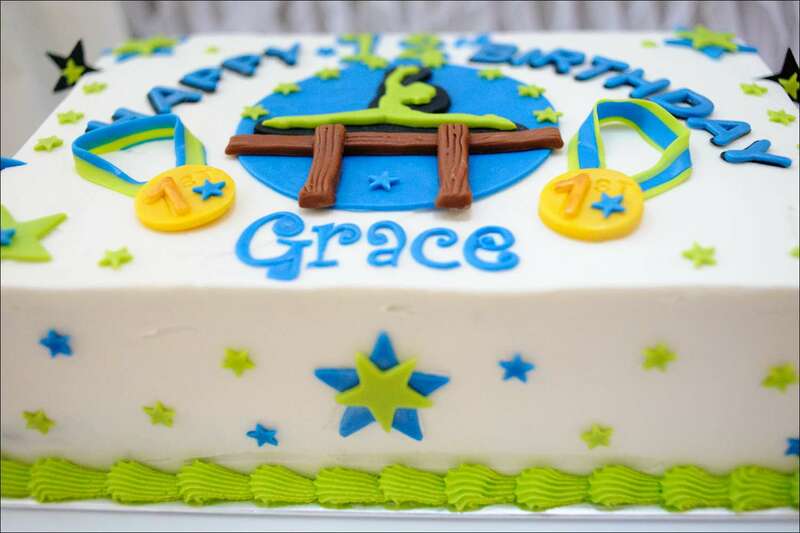 I love Grace’s color combo of lime green, light blue, and black–super cool! I also love that the cake it totally unique to Grace–not another one like it in the world! 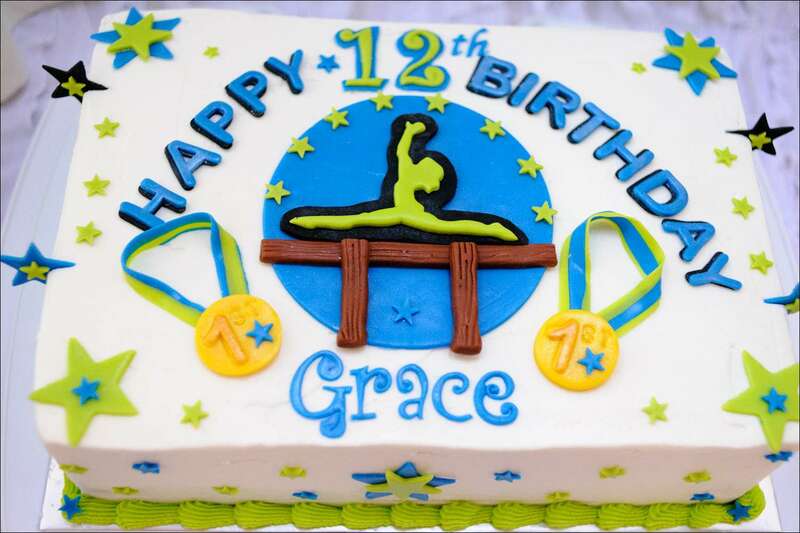 Hope you had a great birthday, Grace!! I’ll make a cake for you anytime, especially if you design it yourself! !